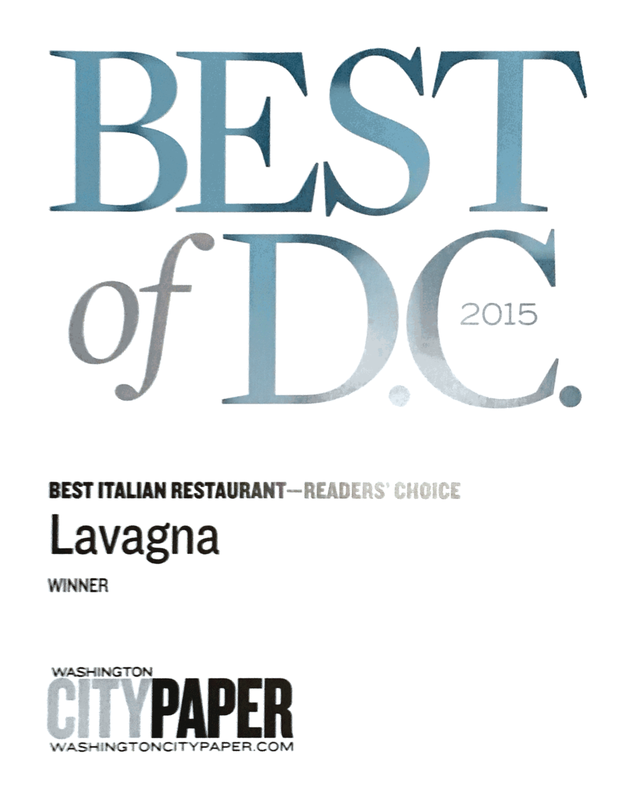 Lavagna is a neighborhood gathering place where you'll always find delicious food & the best of company. The beautiful, Genoan village of Lavagna has long been known for its abundant slate production, quarried in the Capenardo and S. Giacomo mountains nearby. Over the years, "Lavagna" became synonymous with "chalkboard". The menu at Lavagna portrays our idea that food should be just like a chalkboard: simple, fresh, and innovated often. Lavagna relies on a network of trusted local farmers for the ingredients that form the basis of our simple, contemporary Italian dishes. Our ever-changing menu reflects the best that the season has to offer. Lavagna encourages reservations, especially for parties of 5 or more but always welcomes walk-ins, wanderers and those looking to have a meal or a drink in good company. You may also make reservations by calling us at (202) 546-5006. We will reach out to parties of 5 or more to confirm your reservation. If you have a preferred method of contact (text message, email, phone), please let us know in your reservation notes and we'll be happy to oblige! In order to ensure that all of our guests have a great experience, we are only able to seat complete parties. A great gift for any occasion, Lavagna gift cards are now available for purchase online! Planning a holiday party, wedding rehearsal dinner, birthday party, graduation party, corporate mixer, fundraising dinner, baby shower, bachelorette party or cocktail reception? Host your next event at Lavagna in one of our warm and inviting private event spaces. Our more intimate space seats 14, our more spacious, second floor space seats 44, or can host up to 100 standing. For larger parties, contact us about full restaurant rental availability. 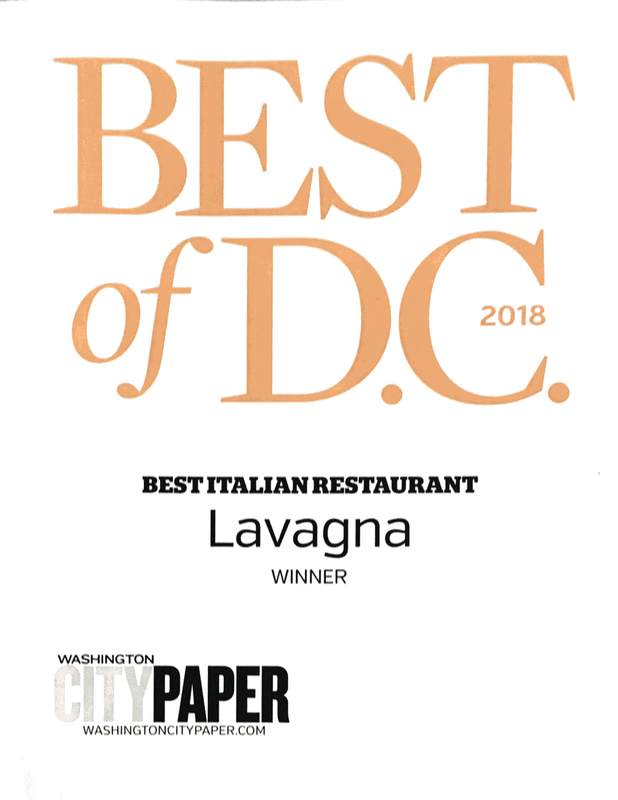 For more information or to book your event please contact us by phone at (202) 546-5006, by email info@LavagnaDC.com, or using the form below.